Ventura County residents are fortunate to live in one of the most productive agricultural regions in the nation. Growers here produce more than 100 commercial crop varieties, and the annual value of production ranks it 10th among the nation’s 3,140 counties. Thanks to the moderate climate, farmers can transport fresh fruit and vegetables from local fields and orchards to homes, markets, stores and restaurants year-round. As a result, local residents can find a wide array of locally grown food at markets, farms, restaurants and roadside stands throughout the area. 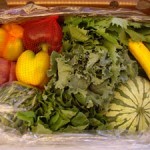 Cal Fresh EBT Cards Accepted at Farmers Markets! Good News! 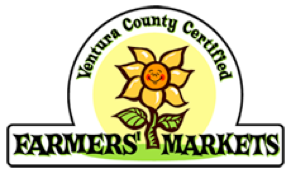 Farmers Markets in Oxnard, Ojai, Ventura and Thousand Oaks are now accepting Cal Fresh EBT cards. 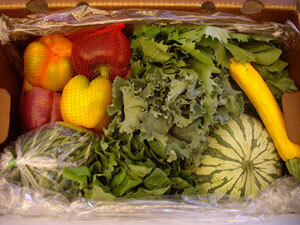 Visit the Ecology Center to find CalFresh EBT Farmers’ Market sites near you. Now with your EBT cards you can buy more fresh fruits, vegetables and healthy foods for your whole family. The County of Ventura Senior Nutrition Center parking lot, at 2220 Ventura Boulevard. Saturdays from 8:00 am to 12:00 noon. Profits benefit Camarillo Hospice. Call 805.386.3584 for more information. Miller Parkway and Los Angeles Avenue (Village at Moorpark Shopping Center – Petco and Staples parking lot). Fridays from 3:00 pm to 7:00 pm. Call 805.290.5670 for more information. Loehmann’s Plaza Parking Lot at Tell Road and Hillcrest Drive. Saturdays from 8:00 am to 2:00 pm. 300 E. Matilija Street. Sundays 9:00 am to 1:00 pm. Call 805.698.5555 for more information. The Plaza Park in Oxnard, on the corner of 5th and C Streets. Thursdays from 9:00 am to 1:00 pm. Call 805.483.7960 for more information. South Harbor Boulevard. Sundays from 10:00 am to 2:00 pm. Call 805.643.6458 for more information. The College of the Canyons in Parking Lot 8, on the corner of Valencia Blvd. and Rockwell Canyon Rd. Sundays from 8:30 am to 12:00 noon. Simi Valley Town Center. Tuesdays from 3:00 pm to 7:00 pm. Open seasonally. The Oaks Shopping Center in the east parking lot, on the corner of Wilbur Rd. and Thousand Oaks Blvd. Thursdays from 1:30 pm to 6:00 pm. Open seasonally. The Pacific View Mall, in the community plaza. Wednesdays from 9:00 am to 1:00 pm. Call 805.529.6266 for more information. Kellogg Park Site, West Ventura Avenue (corner of Kellogg Street and Ventura Avenue). Wednesdays from 3:00pm to 7:00pm. Ventura Moose Lodge at 10269 Telephone Road. Thursdays from 3:00 pm to 7:00 pm. Call 805.263.2907 for more information. The City Parking Lot, on the Corner of Santa Clara & Palm Streets. Saturdays from 8:30 am to 12:00 noon.